Dennis Bock made the 2013 Scotiabank Giller Prize short list for Going Home Again. 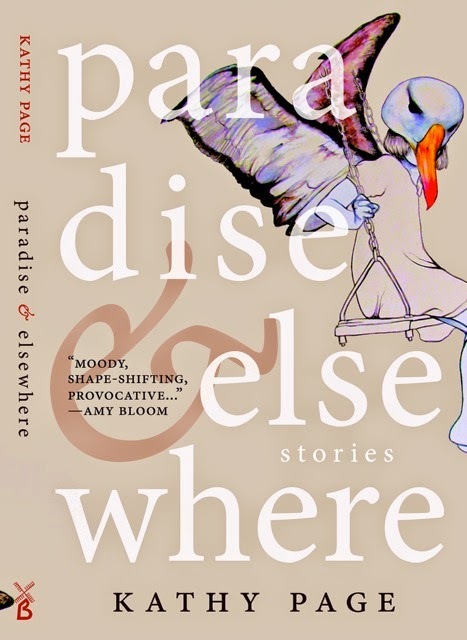 Read an excerpt from Paradise and Elsewhere. Jon Klassen is only in his early thirties, but he is already one of the great children’s book illustrators of our time, with a style both comic and beautiful, innocent and knowing. There’s something of the flattened perspective of folk art and of 1950s commercial illustration in his work, combined with gorgeous colouring and an ironic sense of humour. Klassen was born in Winnipeg; raised in Niagara Falls, Ontario, and Toronto; and moved to Los Angeles in 2005 to work in animation. He first attracted attention for Cats’ Night Out, which won him a 2010 Governor General’s Literary Award. In 2011, he wrote and illustrated I Want My Hat Back, the sparely worded tale of a morose bear whose hat is stolen by a rabbit. The bear takes it back and eats the rabbit, the grisly scene kept offstage. He revisited the story a year later in This Is Not My Hat, using a big fish and a little fish, with a similar carnivorous ending. (It won the 2013 Caldecott and the 2014 CILIP Kate Greenaway medals.) 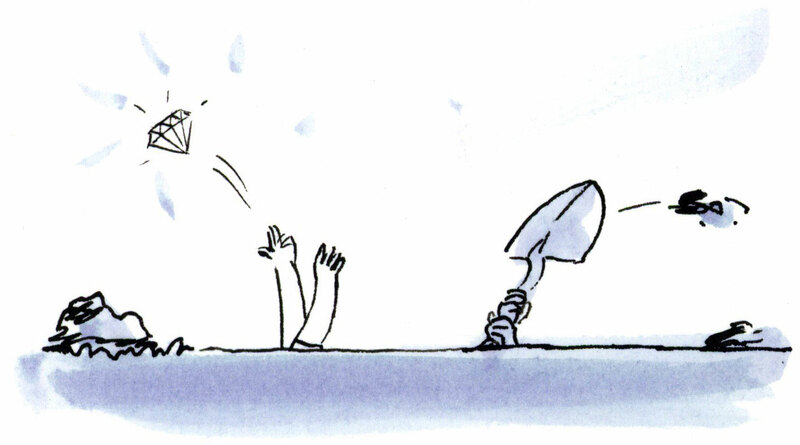 These are clever stories, if a little hard to love, with a touch of that sour tone adopted by authors wanting to shake up the sometimes-staid world of picture books. But there is nothing sour about the artwork; I love that big fish, which looks like an untethered blimp. Klassen’s best work has been married to the text of other writers. Lemony Snicket wrote the words for their 2013 collaboration, The Dark, in which a little boy’s expression of fear as he confronts the dark that lives in the basement is perfectly rendered by Klassen; his use of black space illuminated by fragments of light is magnificent. Extra Yarn, his 2012 book with Mac Barnett, tells the story of a girl who wins over her neighbourhood through her knitting. Barnett’s generous spirit brings out the best in Klassen, who gives us a world of snowy back alleys and clapboard houses, of mustachioed men and a bun-haired woman. 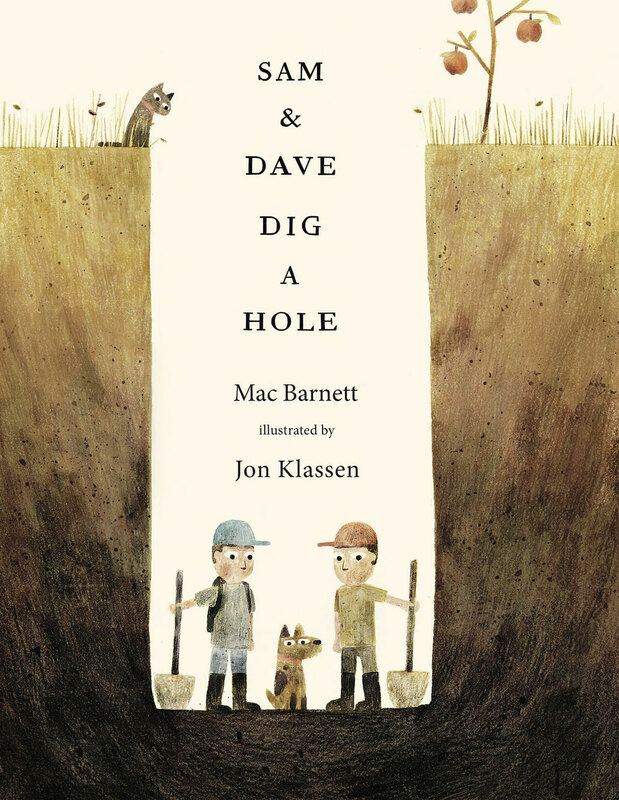 Sam and Dave Dig a Hole is Barnett and Klassen’s latest joint effort, and the story feels like a mix of their sensibilities. While the near-identical boys might well live in the neighbourhood of Extra Yarn, what happens to them relies on the sort of visual play that Klassen likes. What two kids wouldn’t think it a great adventure to dig a hole? Heading downward with their dog companion, they unknowingly pass a large diamond in the earth and keep going toward an even bigger one. 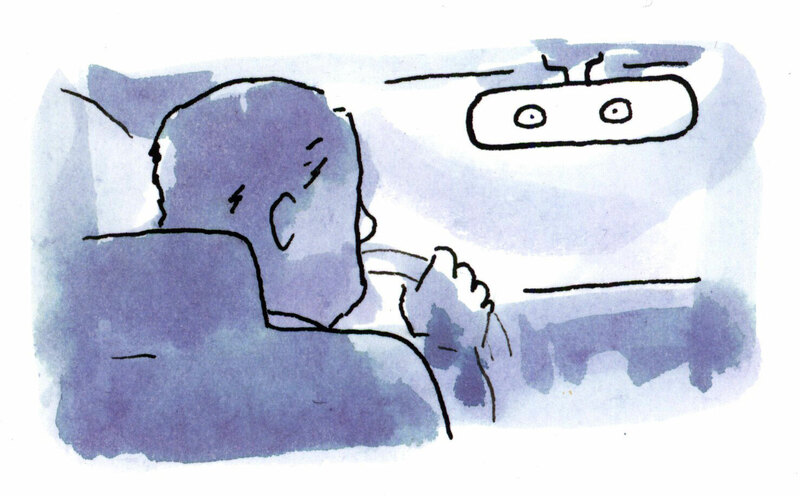 But just before reaching it, they make a sharp turn—a decision sure to make young readers scream at the page. In the end, the boys seem to find themselves back where they started, and while the adventure itself proves spectacular enough for the kids, the conclusion is just a bit of a letdown for the rest of us. 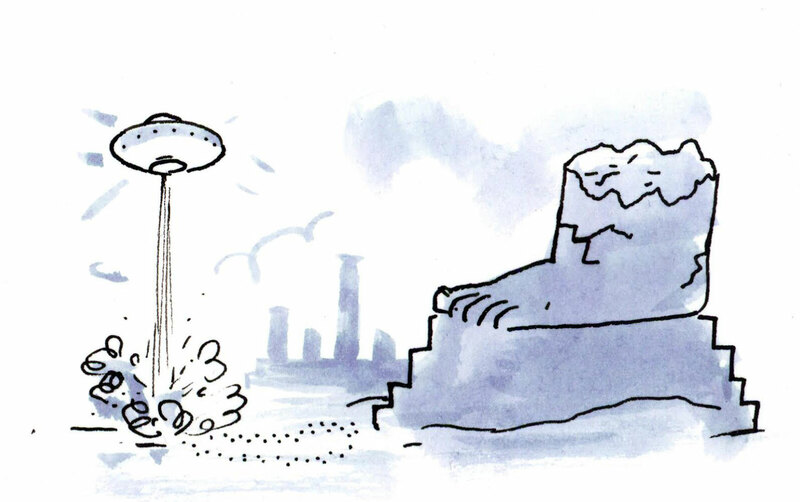 Still, it’s a fun story with a great visual joke, and the pictures are swell. And Klassen leaves us with one last amusingly mysterious image as the dog and a cat, which have been following these events, eye each other across two facing pages. Now, just what are those two thinking? View an excerpt from Sam and Dave Dig a Hole. 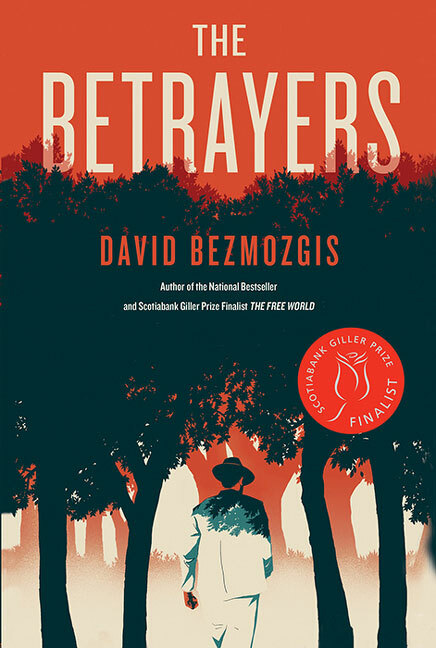 The world exacts a rigorous set of moral demands in David Bezmozgis’s brilliant second novel, The Betrayers—but only of the few who are so entrusted. A father and son, equally afflicted with the burden of high principles, suffer the consequences of their moral imperative, while a third, an “ordinary man who was ensnared in a villainous system,” endures a similarly complicated fate, though stripped of the dignified self-possession of his opposites. All three are hobbled. At one side of the moral spectrum exists a “narrow rank of villainy, and at the other a narrow rank of virtue.” The rest of us fall somewhere in between. Just as there are people in this world who are imparted with physical or intellectual gifts, there are those who are imparted with moral gifts. People who are inherently moral. People who have a clear sense of justice and cannot, under any circumstances, subvert it. Kotler is a fascinatingly complex character, rich in contradiction. A faction within his own party threatens to expose his affair because he refuses to support the forced evacuation of Jewish settlers from the West Bank. Ever the man of sacred values, he will not trade his silence on a political issue for an envelope of compromising photographs, not even to spare his family from the public humiliation that follows when they are leaked to the press. Soon afterward, his son, an Israeli soldier, finds himself on the front lines of the evacuation, where he too must declare his own moral stance. In a finely executed and believable coincidental turn, Kotler encounters Vladimir Tankilevich, the ex-KGB informant who gave false testimony against him almost four decades earlier. 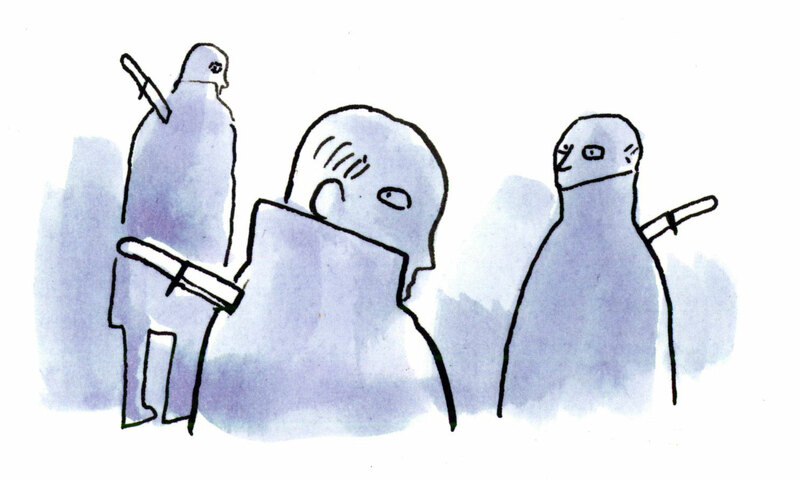 This chance meeting of lifelong adversaries is the central confrontation in the novel. Through extended dialogue, expository though never burdensome, we learn how Kotler became a man of principle—and that he is now in a position to offer Tankilevich forgiveness for the crime of his imprisonment. Framed and convicted of treason as a Zionist imperialist spy, Kotler was sentenced to thirteen years in prison. But those years in the gulag were his lottery ticket, claims Tankilevich; without them, the famed refusenik would have garnered neither wealth nor position. Kotler is, in effect, a Prometheus-like creation of his oppressor, in this elegant novel where flawed men of high principle battle not with conscience, but with the burden of politics and history. 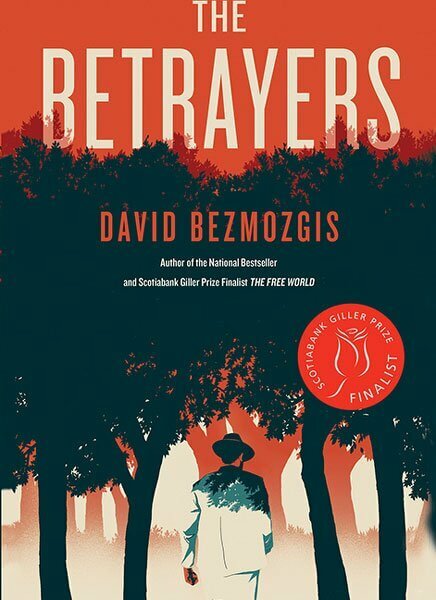 Read an excerpt from The Betrayers. Fittingly, the epigraph for Mireille Silcoff’s masterful debut short story collection comes from Jean Rhys’s modernist novel Good Morning, Midnight. Like Rhys, Silcoff is adept at illuminating the singular truth that can be found in suffering, and in recognizing the redemptive potency of beauty. 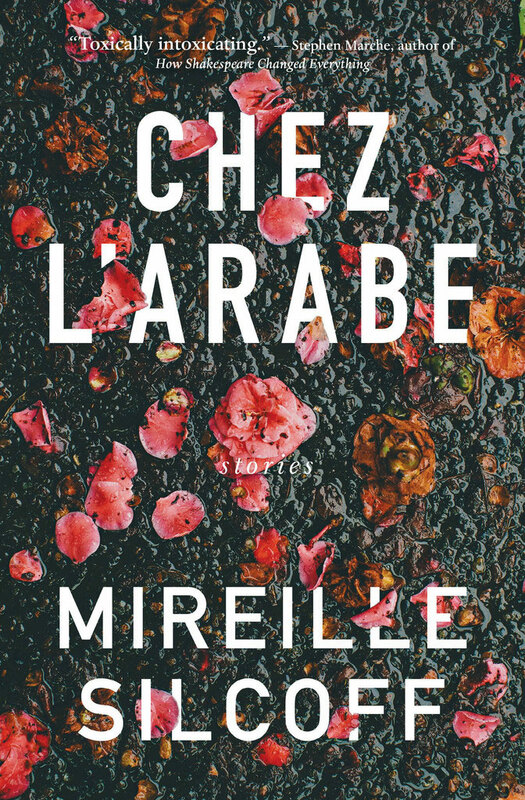 Chez l’arabe presents eight elegant stories, two about a woman with a severe neurological injury and the family, friends, and acquaintances encircling her life. Unflinching in the face of sadness and disappointment, Silcoff evokes excruciating pain with a sure, incisive economy. She gives us the loneliness of being forced to lie still for months, the narrow world of incapacity, and the feeling of abandonment when friends—and even the narrator’s husband—drift away simply because they can. A subtle humour runs through the collection. In the title story, the narrator describes her horrifying condition with a light, breezy touch: “the skin of my spinal cord had decided to imitate Swiss cheese, that the operations had only made the holes bigger.” As the narrator battles to heal and regain her independence, she finds sympathy and solace in strangers, especially the Lebanese taxi drivers—who are actually Persian—who go to great lengths to avoid potholes, so as not to cause their passengers extra pain; a Persian woman (from the nameless shop that the narrator’s husband, Antoine, has nicknamed Chez l’arabe) brings the narrator lunches, even though she answers the door wearing a T-shirt that reads, “Israel, Just Do It!” Silcoff deftly renders the harmonies and clashes between Middle Eastern cultures in Montreal, along with the smothering, necessary love of the narrator’s Jewish mother, a character so vividly drawn she soars off the page—overprotective, aging and gorgeous, vigorous and very funny. I felt something move in the corner of my eye and looked up to find the entire field streaming away from me. It was not just one brush-coloured rabbit but dozens of them, maybe hundreds. Stealth bunnies—bounding and twitching everywhere. The rabbits cause a panic in her, the twitching and bounding almost a mocking of her own immobility—and the unpredictable seismic beauty of a landscape that is alive with errant, wild energy. When it was good it was great, the cab swinging east over Mount Royal, the chandelier sky above and the velvet city appliquéd with skyscrapers below. Sometimes the city and the music and the silver disco moon would collide in a crescendo so exhilarating it felt like I was living in one of Antoine’s classier commercials. But the beauty here, like all beauty, shatters easily—with the introduction of something as small and as inconsequential as a pothole. 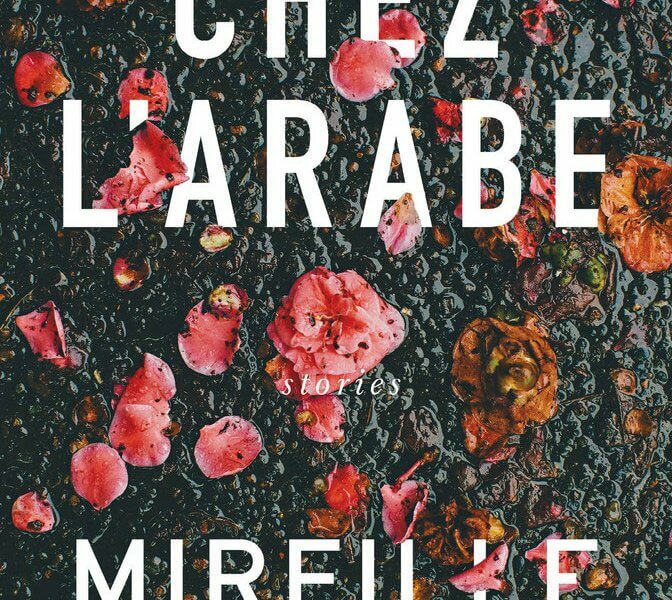 Read an excerpt from Chez l’arabe. 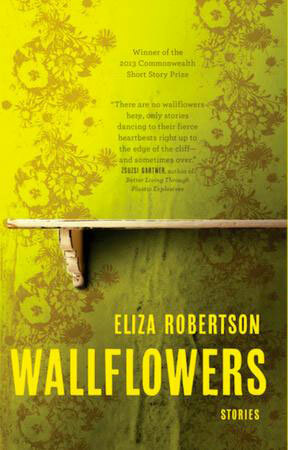 In Eliza Robertson’s debut collection, Wallflowers, an abused wife quietly and with finality seeks retribution; rain soaks the muddy banks of a levee until it fails and swallows a subdivision; a young woman commits passive-aggressive and grotesque revenge on her distant roommate. Birds flit through these stories and slugs crawl across them—the language, the rhythm, the imagery all coming together in such a way that you suddenly realize you’ve been hypnotized by these characters and their worlds. The waters have risen to your chest before you understand you might actually be in danger. Not all of the stories are perfect, but I can’t think of a debut collection that accomplishes such a feat. Robertson has bolted out of the gate fully formed as a writer, with a lyricism that makes up for any minor issues that a little more experience won’t straighten out. Land of the misty giants. Cedar, alder, ponderosa pine. Cascade Mountains pushing out green like grass through a garlic press. The veg here is fungal. Jungle. Where am I—Thailand? I could be in Thailand. Bangkok, British Columbia. The Coquihalla. It’s all rainforest: fern-webbed paths and moss like armpit hair, the exclusion of seventy per cent of the sky. You see the tallest trees in the first half of the drive—between home and Hope, Hope and Allison Pass. I’m the kid at the back of the bus with a packet of apple rings, slouched in his track pants over two velour seats. There’s a reason she saved this one for last. Like so many authors, Robertson is a product of creative writing programs that have blossomed like wildflowers (or some might argue like black mould) across North America in the last couple of decades. I’ve always thought of these programs as being similar to music conservatories: You can’t teach a person how to become a wunderkind, but you can teach that student how to read a score, how to handle her instrument properly, and how to play well with others. Most importantly, to teach an artist is to allow her not just to grasp but to internalize the rules, the guidelines, before sending her out into the big bad world in the hopes that she will not just bend but break those rules in her pursuit of mastering her medium. Eliza Robertson, for me, is a wunderkind, one of our country’s most inventive and exciting new writers. She has studied writing at home in Canada, as well as in the UK, and I both wish I’d been her teacher and am happy that I wasn’t. I’m not sure I could have taught her much beyond a few of the rules. 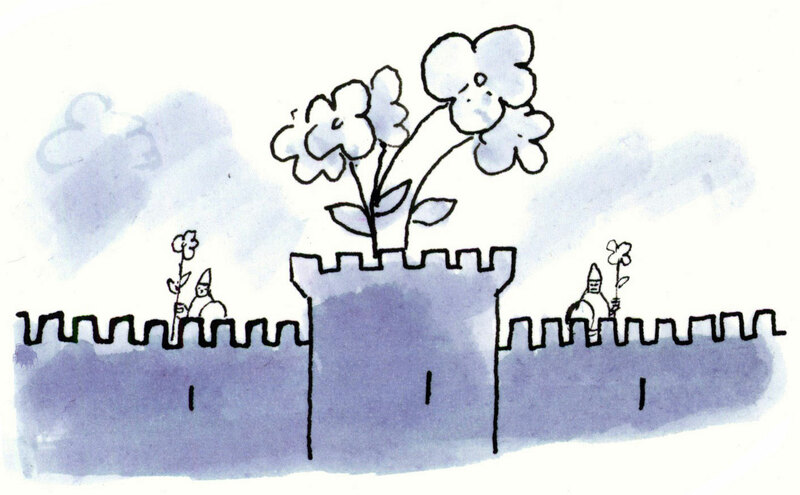 Read an excerpt from Wallflowers. Joseph Boyden won the CBC’s 2014 Canada Reads contest with his third novel, The Orenda. Cary Fagan was a finalist for the 2013 Rogers Writers’ Trust Fiction Prize with A Bird’s Eye. Dan Vyleta was shortlisted for the 2013 Scotiabank Giller Prize for The Crooked Maid.